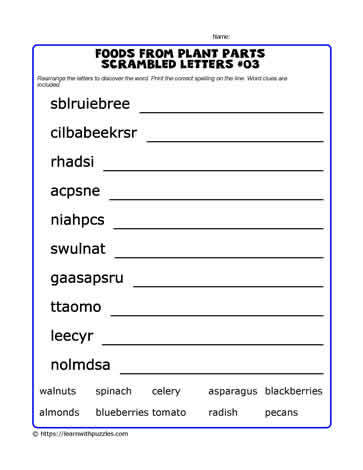 Here is a food from plant parts scrambled letters puzzle to consolidate general science vocabulary grades 3,4,5 classrooms, tutoring resources, homeschooling. Puzzles support brain engagement, activate problem solving strategies and make learning fun! Kids are learning without them even knowing it.